Amando Moreno a midfielder who has had some USMNT experience has been picked up in exchange for the 32nd pick in this most recent SuperDraft. 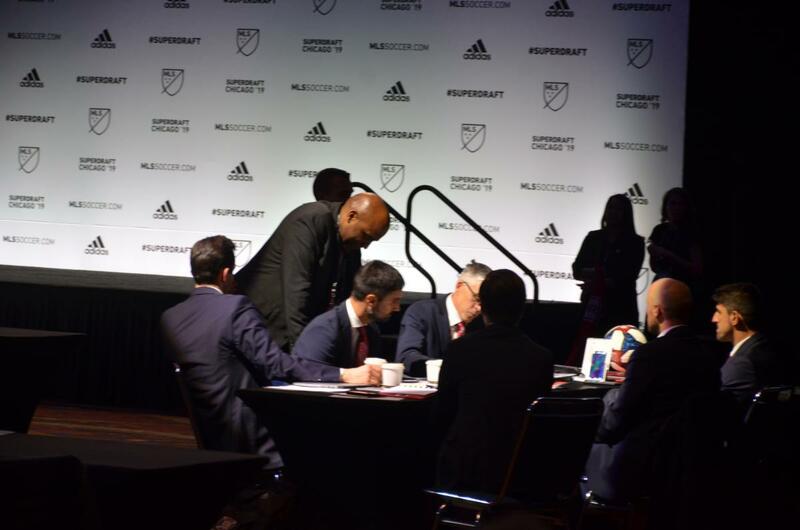 As we had noted, the announcer had stated that the RBNY had a timeout before ever announcing that the trade of the pick had been done, see our photo below with the trade being in the works. The 23 year old midfielder was with RBII in 2018 with 30 games for 11 goals and 4 assists, including the GWG to put them past FC Cincy in their last USL game. Moreno had the 4 previous years been in Mexico with Liga MX team Tijuana and 2nd tier team Dorados de Sinola. In those 4 seasons he had 20 games and 3 goals to go with an assist. 2013 saw him begin his pro career with RBNY with 2 games following the climb through their academy system as they took the Supporters Shield in 2013. He has 2 games with the U-20's and was called into one camp for the USMNT in May of 2015. Nelson Rodriguez, Fire Prez. & GM had this to say of the player. "Amando is a young player who has already played in more than 50 professional games. He drives hard to goal and has an appetite for hard work." RBNY Sporting Director Denis Hamlett, standing next to Nelson Rodriguez Fire GM & Prez. making the deal.